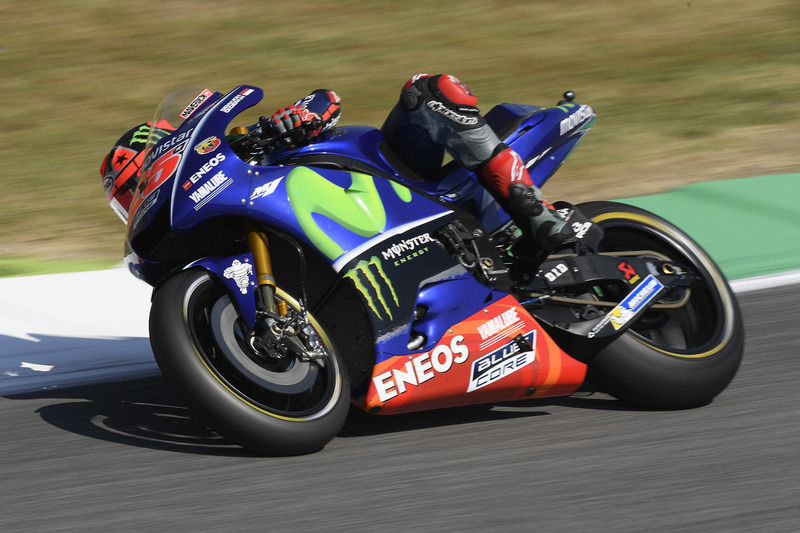 Factory Yamaha took the top two qualifying spots at Mugello earlier today with championship points leader Maverick Viñales on pole and Valentino Rossi second. Andrea Dovizioso (Ducati) earned the third spot on the grid. Lining up on Row 2 will be Ducati test rider Michele Pirro followed by Factory Honda riders Dani Pedrosa and Marc Marquez. Follow this link to the full qualifying results. Rossi’s an animal. While he may have played some games overstating the uncertainty of him racing, that’s an impressive feat none the less. Wow. So was Rossi playing head games last week following his motocross training crash ? Or is he riding injured, and simply the Greatest of All Time ? Should be a fascinating race, especially with a Ducati qualifying third. What a shame that Rossi tucked the front wheel in the final corners at Le Mans; shame that he didn’t collect the 20 points for second and then he’d be neck and neck in the standings going into Mugello with Viñales, One-Two on the starting grid. A: qualifying is only 1 fast lap, the full Jello race is 23.
i swear the repeat performances year after year of the Yamaha M1’s at the Mugello circuit are the ULTIMATE VALIDATION of the genius of Masao Furusawa. it almost beggars belief…? neither HRC nor Corse can “hold a candle” to the guy. I think it clearly shows that the bike has a ton of power, high in the Rev range. Didn’t do them much good in Spain, but they have done a lot better at tracks like Mugello and Qatar in recent years, that’s for sure. Honda used to walk away from them on long straightaways, but now it seems like the tables have turned.